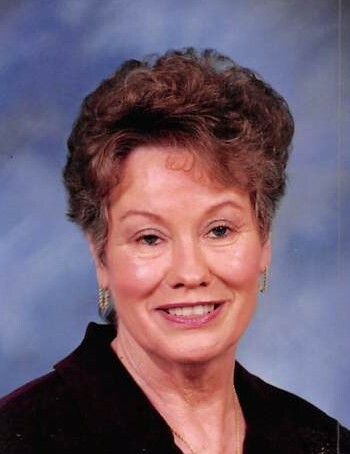 Fannie Ruth Roberson, age 78, of Nicholls, Georgia passed away on Monday October 29, 2018 at her residence. Mrs. Roberson was born on July 19, 1940 in Douglas, Georgia the daughter of the late Fred Merritt and Ethel Vickers Merritt. Survivors include a two daughters, Londie Mims (husband Jerry) of Alma, GA and Teresa Anderson of Nicholls, GA; son, Larry Roberson of Douglas, GA; six grandchildren, Jesse Roberson, Rodney Anderson (wife Kaitlan), Kayla Anderson, Tiffany Walker (husband Mark), Andrew Hayes and Tina Mims; great grandchild, Ava Grace Courson; sister-in-law, AnnDora Merritt of Douglas, GA; special friends, Lucy Hale, Sharon Cornelison and Nancy Mims; several nieces and nephews. Funeral services will be held on Thursday November 1, 2018 at 11:00am at Sims Funeral Home Chapel with Rev. John Thomas officiating and Rev. David Davis officiating at the graveside. Interment will follow at Hall Cemetery. The family will receive friends Thursday morning from 10:00am until time of service. Pallbearers will be Robbie Roberson, Terry Roberson, Ricky Merritt, Lamar Merritt, Robert Taylor and Sam Taylor.